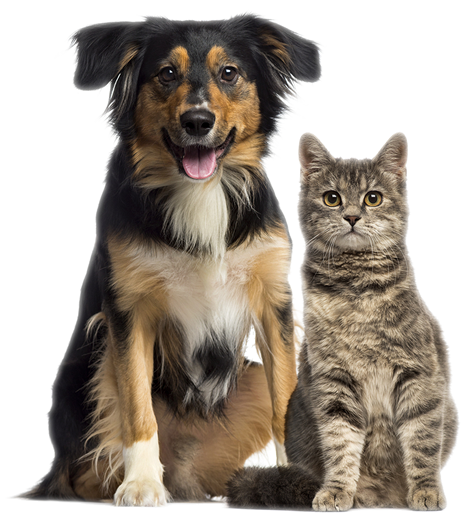 Does Your Dog or Cat Need Relief From Painful Arthritis? 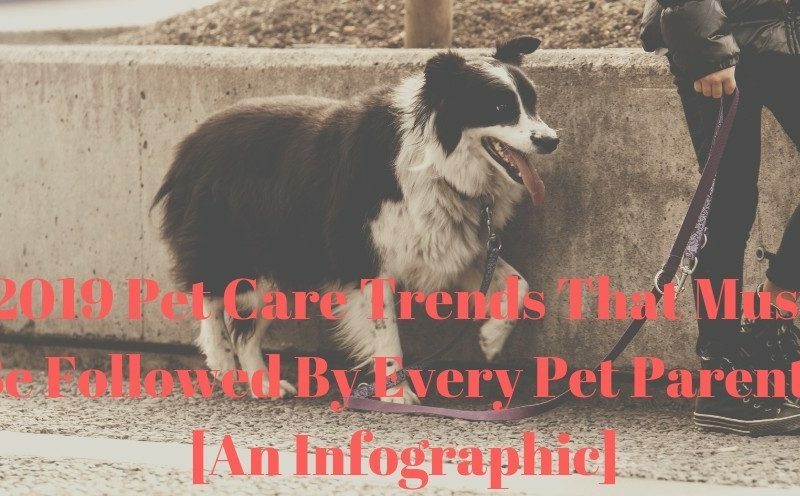 If you’re like most pet lovers, you feel sad, helpless, and afraid to notice your energetic, free-spirited pet’s gradually deteriorating health. Be it a dog, a cat or any other pet, all they need is your love and a little bit of your time. Your pets cannot speak for themselves, so you need to be careful enough to understand their problems and requirements. There are many reasons behind the silence and discomfort of your pet, one of such devastating pet disease is –“Arthritis”. This is obvious that you would like to treat your beloved pet with those medications which have the least side-effects on them. You don’t want your dog or cats suffer on account of the side-effects of those harsh chemicals used in medicines. If this is the case, then “Pet Bounce” Multi-vitamin supplement is the perfect option to help your pet in relieving pain and suffering due to Arthritis. Pet Bounce has this liquid oral formula which makes it superior to other competing brands. The droplet system gives this brand an edge over other medicines in powder or pill form. This new droplet formula can be added to the food and water of the suffering animal. 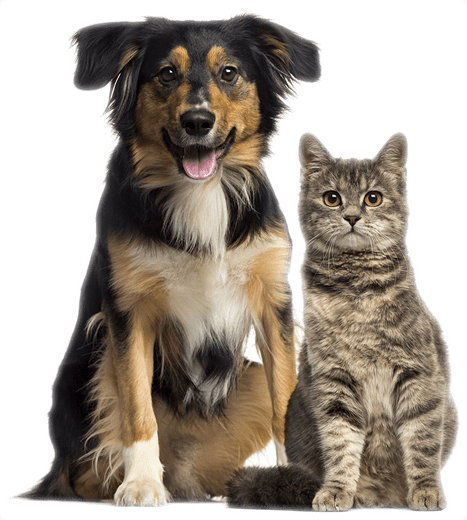 It can be a really hard task to make pets eat pills and powdered medicines, and moreover, these medicines take a lot of time to show their effect. Pet Bounce liquid formula relieves the arthritic pain in your pet in a short span of time. This is designed to enter the bloodstream faster and does not require digestion to show its action. The ingredients used are non-toxic, without any side-effects. This is one of the best natural pain relief medication for your dog or cat. Pet Bounce is a perfect solution to the debilitating joint pain caused by “arthritis” and other degenerative joint conditions in animals. 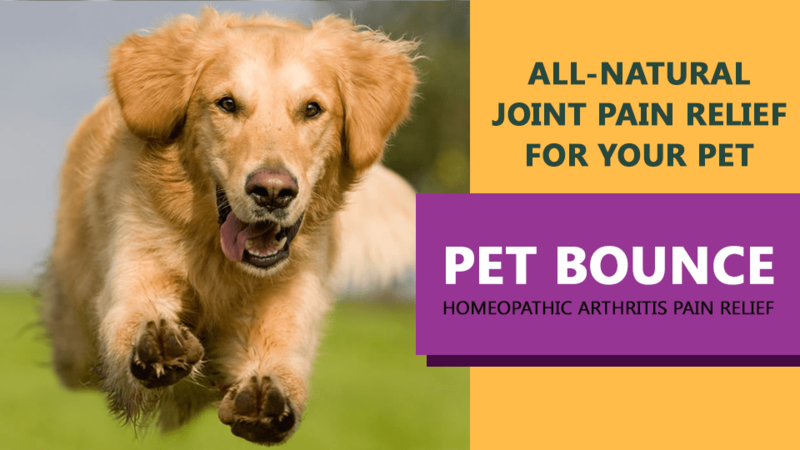 It’s a natural joint pain relief for dogs and cats. Pet Bounce supplement was created to solve one purpose which is – to alleviate symptoms of arthritis in your cats and dogs. It will improve the quality of their lives in a completely natural way. Pet Bounce helps your pets live a pain-free and a comfortable life. 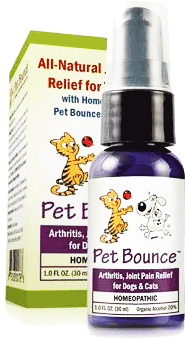 Pet Bounce incorporates several homeopathic ingredients that work harmoniously to reduce inflammation, swelling, and stiffness of joints without the side effects of common drugs prescribed for the same purpose. As you all know, homeopathy is a natural method of treatment that has been used worldwide for over 200 years. It is a unique system of medicine because the ingredients which are used are generally non-toxic, with no negative side effects. You want your pet to be healthy and active for as long as possible, and Pet Bounce multi-vitamin supplement helps you fulfill this specific wish of yours. It relieves pain, swelling, and stiffness caused by Arthritis and other joint problems in a natural way. The homeopathic ingredients like Colchicum Autumnale 200C, Apis Mellifica, and Ruta Graveolena are plant based and have been used in medicinal treatments for centuries. These natural ingredients in Pet Bounce really help your pets keep moving. It’s an absolutely safe and a natural way to reduce joint-discomfort so that you can spend more quality time together. “Arthritis” is the most common disease found in the middle-aged to older dogs. You may see your pet limping and just favoring one or more of his legs. He may also become reluctant in doing things which he used to enjoy before like jumping up or to go out for a walk. It results in spinal issues also in pets which includes “hunchback”, lameness etc. They become irritable with the pain which leads to inactivity which further causes “Muscle Atrophy”. So this situation requires an effective and a natural arthritis pain relief for your pets to relieve their pain and suffering from Arthritis. The homeopathic ingredients of Pet Bounce for dogs makes it the perfect choice of owners to cure their dogs from Arthritis. Why Buy Pet Bounce Natural Pain Relief for your Pets? 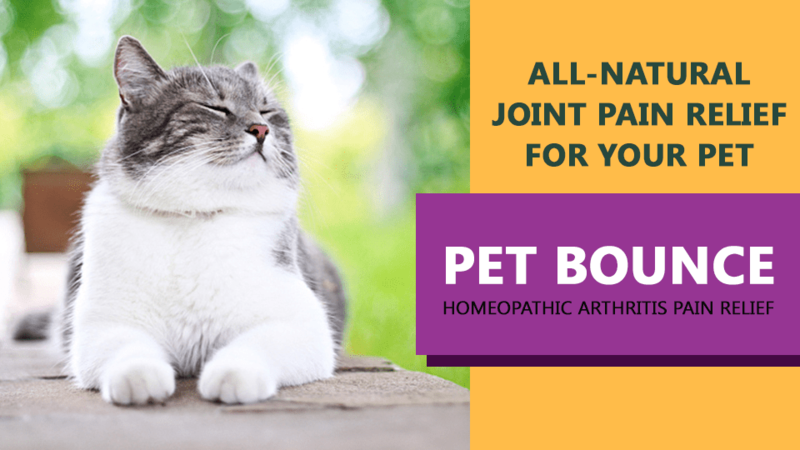 If you are looking for a way to cure your cats and dogs from joint pain due to arthritis in an at least harmful way, then you should look for a homeopathic solution which is completely safe. “Pet Bounce” is one of the most popular and safe homeopathic liquid pain medications for dogs and cats with all natural ingredients. The ingredients contained in this formula are all well known for their respective healing properties. They are safe to take and have no side effects when taken in accordance to the directions. If you are looking for a safe, all natural way to bring the bounce back into your pet’s step, then Pet Bounce indeed is the product for you.